Hanoi (VNS/VNA) - Since the beginning of the year, the State Bank of Vietnam has been increasing the reference rate of the dong against the US dollar, and the Vietnamese currency has appreciated 0.43 percent as a result. The inflow this year has been worth 150 million USD. Foreign direct investment has risen 2.5 times from the same period last year to 8.47 billion USD. The central bank is allowing the dong to strengthen though there is no pressure on the currency and foreign exchange reserves are plentiful. In 2016, Vietnam decided to announce a daily reference rate for the dong against the dollar each day, shifting from a fixed rate, to enable more flexibility. The adjustment is based on daily changes to eight foreign currencies that strongly affect the Vietnamese economy: China’s yuan, Europe’s euro, Japan’s yen, the Republic of Korea’s won, Taiwan’s new dollar, Thailand’s baht, Singapore’s dollar, and the US dollar. 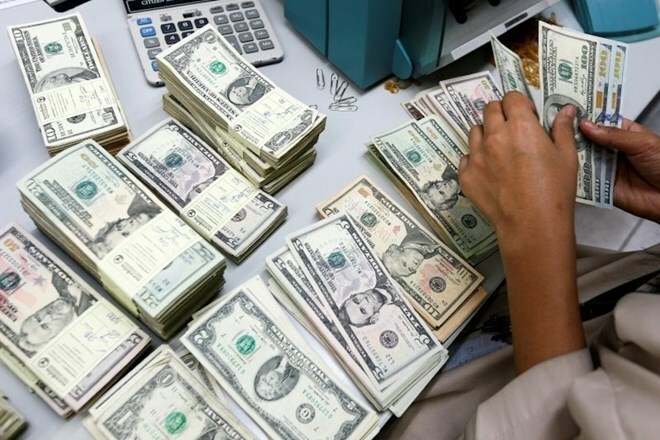 For instance, on March 11 the buying price of the dollar on the unofficial market was 23,205 VND compared to 23,160-23,180 VND in the official channel, while the selling price was 23,215 VND compared to 23,170-23,190 VND. In 2018 the dong weakened by only 2.2-2.3 percent against the dollar while many other currencies in the region fell sharply. For instance, the Chinese yuan fell by 5 percent.